Chris Gayle, the West Indies left-handed batsman on Saturday became the first player in the Indian Premier League (IPL) to smash over 300 sixes in the tournament as he scored a quickfire knock of 40 runs for his team Kings XI Punjab against the Mumbai Indians. South Africa's AB de Villiers is the second batsman on the list of most number of sixes. He has a total of 192 sixes in 131 IPL innings whereas Chennai Super Kings skipper MS Dhoni is on the third position with 187 sixes. 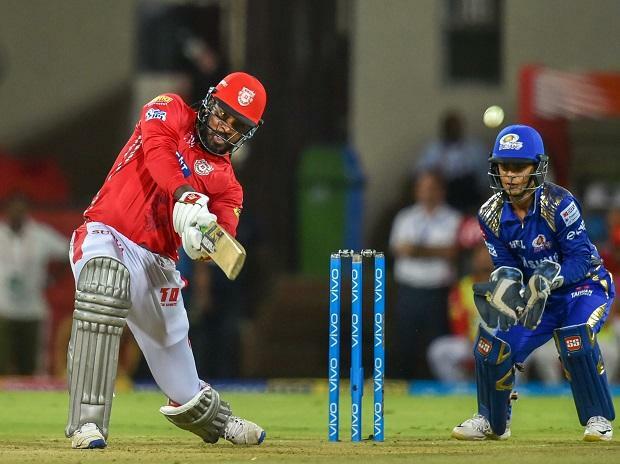 Punjab had acquired Gayle in the 2018 IPL auction after he remained unsold in two rounds of bidding. Kings XI Punjab takes on Delhi Capitals in their next match on Monday, April 1.